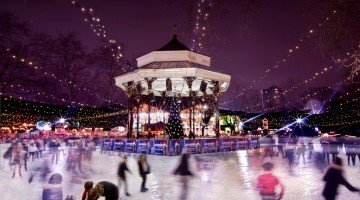 Whether you are already a Londoner, or if you’re visiting this marvelous city, chances are you are eventually going to want to buy some gifts and other knick-knacks. 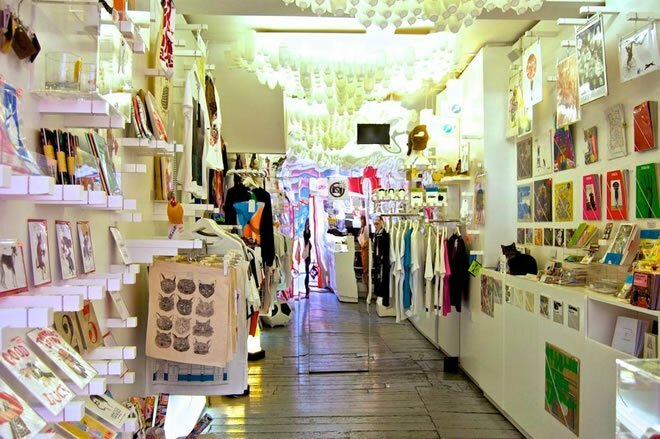 The best gift shops in London are scattered all over the city, and they can be found in all of the major districts. However, despite the city having a large number of such shops, we decided to compile a list of the ones most worthy of your hard-earned cash. 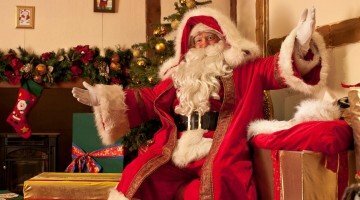 Finding unique merchandise for presents, or for yourself, isn’t always easy, which is why we hope that our lick will provide you with some needed resources. If it’s a birthday party you’re going to, the stores on our list will definitely be places that should interest you. Other occasions such as Valentine’s Day, anniversaries, dates, are also ones where gifts are welcome. You don’t want to disappoint your lady, do you? 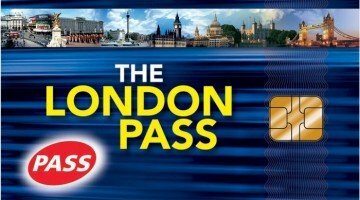 Tourists will most certainly find enough memorabilia in the top London gift shops as well. Gifts should come from the heart, that’s the most important, but it won’t hurt if the gift is unique and interesting at the same time. 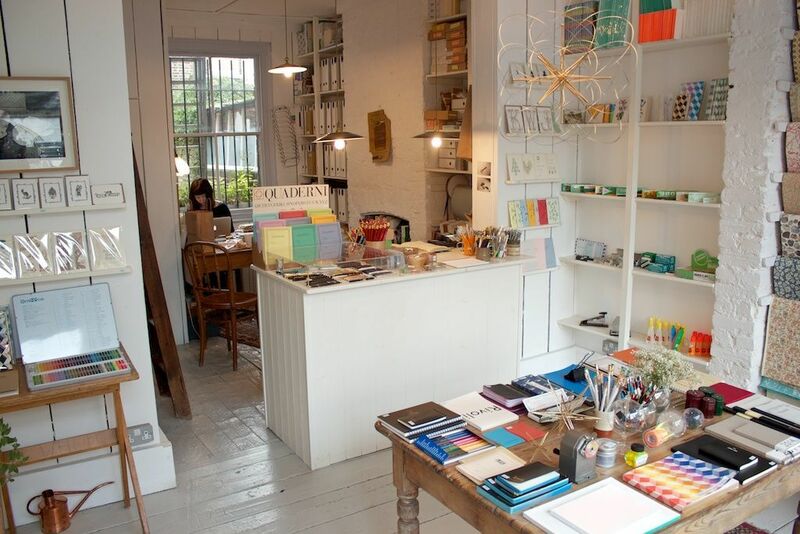 Here are our picks for the best gift stores in London. Anything that is located in Shoreditch is interesting nowadays, and the Pitfield store most likely is one of the finest ones in the city too. It’s not just a shop, as customers can sit down for a cup of coffee too. The store sells a very wide range of merchandise, from small collectibles, to furniture, textiles, vintage objects, decorations, etc. 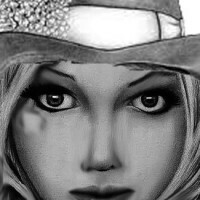 Check out their website to see what kind of stuff they usually sell, and perhaps it’s exactly what you were looking for all this time. 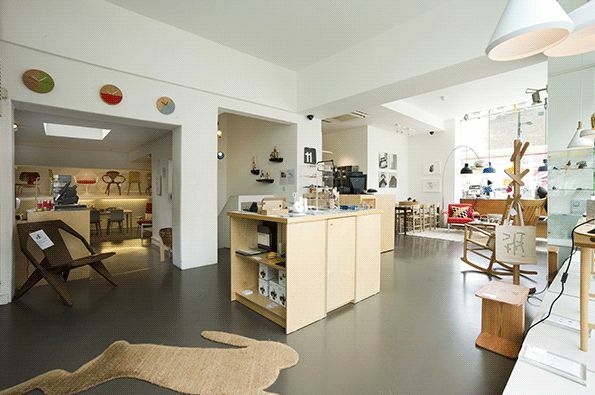 Situated fairly close to Brick Lane is the delightfully different store called Lik + Neon. 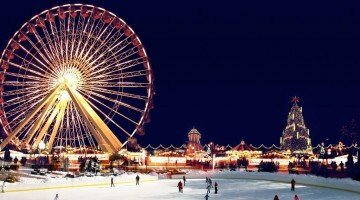 It’s almost a guarantee that people will fall in love with this place, it’s different, slightly strange, and very lovable. The gift shop has a decent sized collection of paintings from the 1970s, and they often sell off works that were made by the students at London’s art schools. Vintage items are also available of course, but thing like vinyl record, rare prints, jewelry are also on sale here. Are you an artist who is looking for the nicest writing materials that are available? 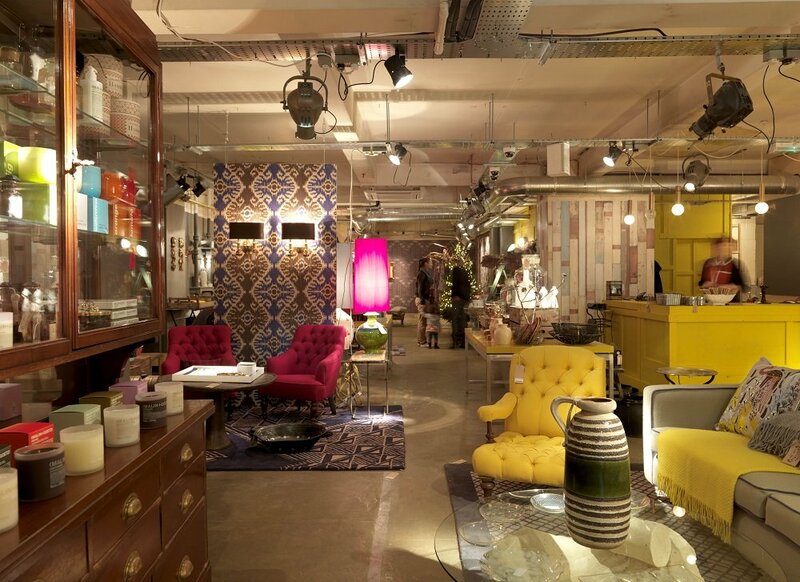 Perhaps Choosing Keeping is the right gift store in London for you. Items such as pencils, crayons, paints, fountain pens, are thing that this store specializes in. Prices are sky high, but for good reasons. Everything they sell here is either made in the EU, Britain, Japan, or the US. So people know why they are paying such high prices. 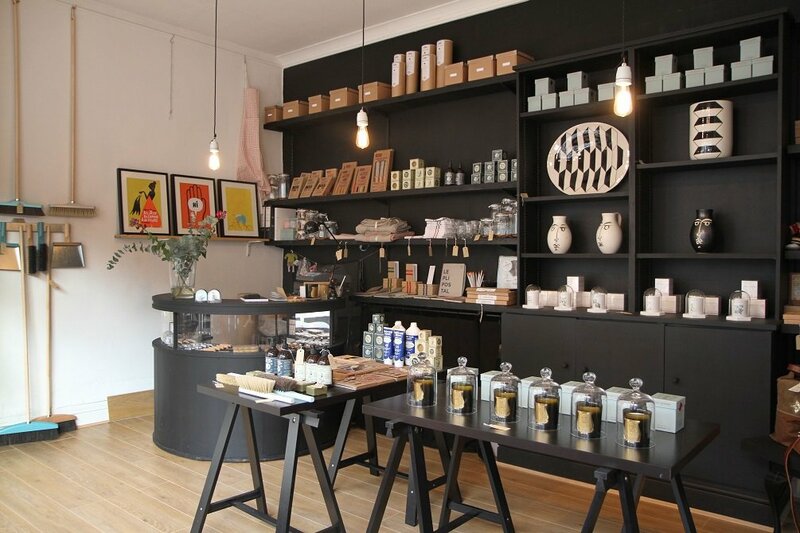 Another Shoreditch bases addition to the list is the Jasper Morrison gift shop. They offer a pretty decent amount of merchandise, and they mostly sell old stuff. Vintage is in, haven’t you heard? Old styled tape measurers, telephones, clocks and watches, and anything else that might cross your mind. It’s exactly what you’d expect from a Shoredtich bases shop, so you know exactly what you’re getting into. It opened in 2008, and we hope it will stay in business for a long time to come. 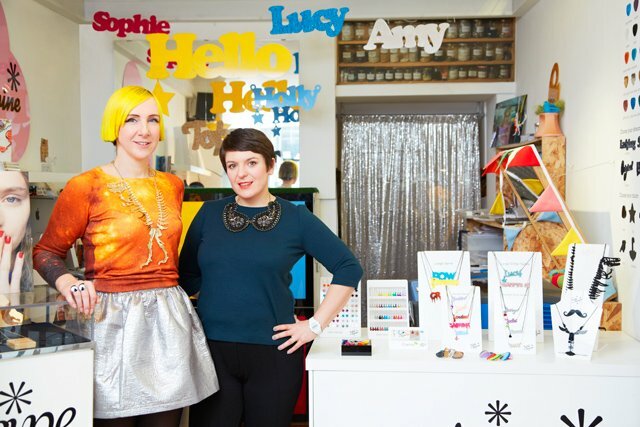 If you are shopping for handmade jewelry, then perhaps it’s time to visit the fabulous London shop Tatty Devine. It was opened back in 2001 by a couple of ambitious college girls, and soon they realized that their vision was something others shared as well. The business took off, and the rest is history. All of the handmade bracelets, necklaces, can have a custom writing on them, which is made possible by fancy laser technology. If it’s French decorative pieces you are after, then the Hexagone shop is exactly what you were looking for. It’s conveniently located on the Camden Passage. 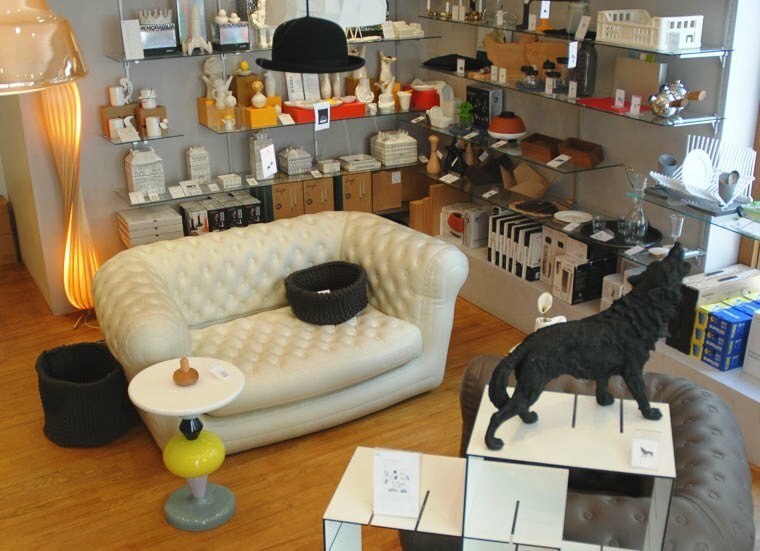 Fine French ceramics, clothes, furnishings, can all be found at the Hexagone store. Often times the store sells items that would be otherwise difficult to get a hold of, so keep your eyes open. The owners of the Hexagone shop are unsurprisingly also French, and they definitely make it feel so. Mostly thanks to the great selections of times that can be found here, and partly because of its location, the Magma store makes it onto our list of the best London gift shops. Posters, old books, interesting prints, bicycle related items, and other knick-knacks can all be found right here. 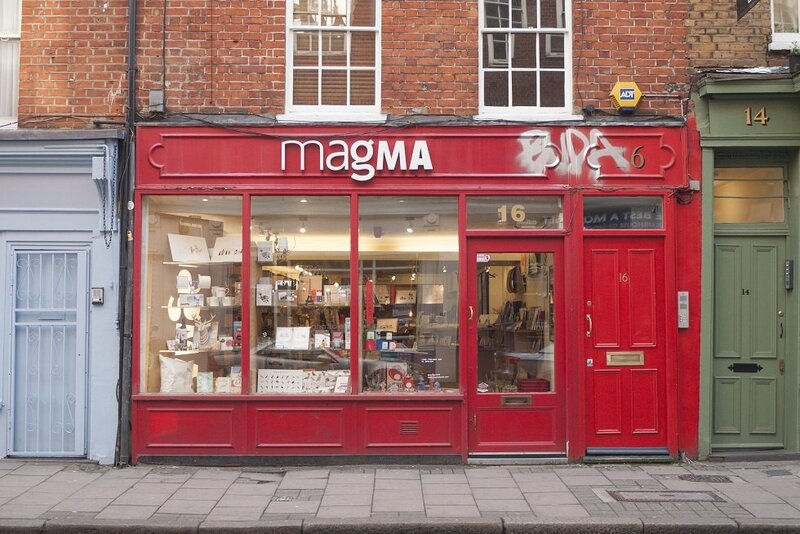 There are a total of three Magma stores in London, and there’s even one in Manchester. 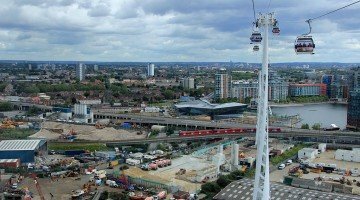 Of all the unique names in London, this one might just take the prize. Off Cabbages & Kings opened in 2012, and they sell all sorts of souvenirs and even jewelry pieces. At the store it’s not rare to see fabulous paintings on exhibit that are the works of local artists. These pieces are of course for sale as well, and sometimes prices are more than reasonable. That’s one additional reason why this shop is fabulous, because people can support new artists in the business. 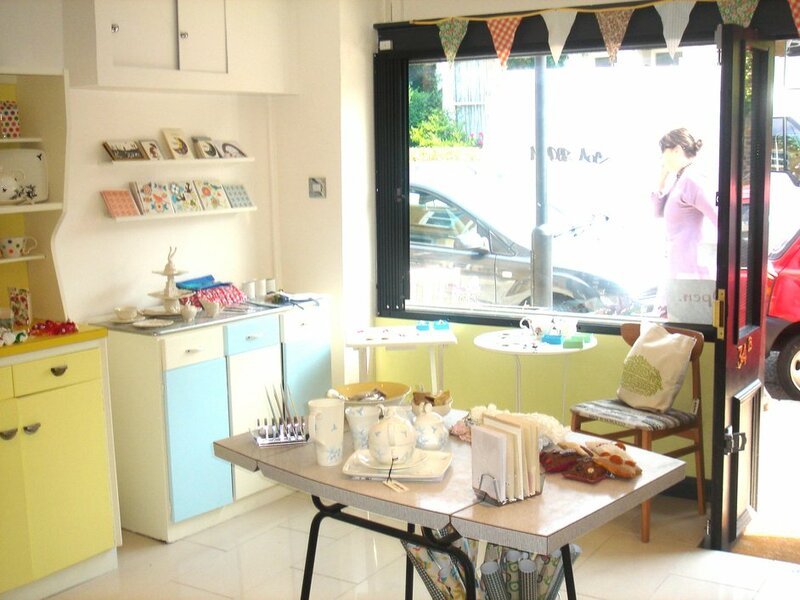 Situated in a very historically rich part of London is the small independently owned gift shop Luna & Curious. The store focuses on bringing back the heavy 1940’s noir vibe to modern London. It’s rare stepping inside a store with this much atmosphere, that’s certain. Things that can be bought here range from ceramics, decorations, lingerie, and everything else a person could think of. As far as gift shops go, this one is packed with merchandise. 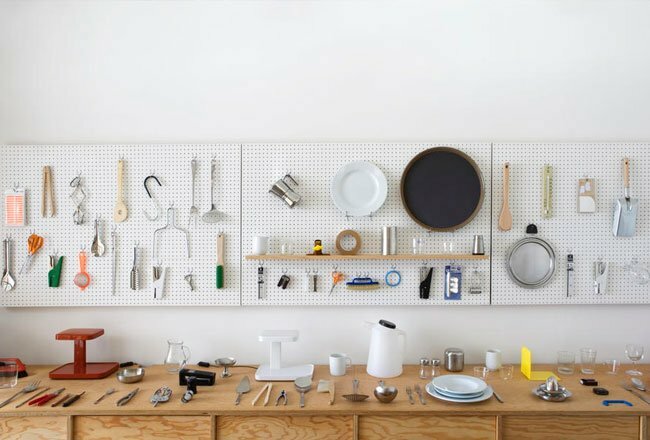 Alessandro Zambelli is a well-known designer, and the Do Shop is just one of the places where you can find some of his kitchenware. 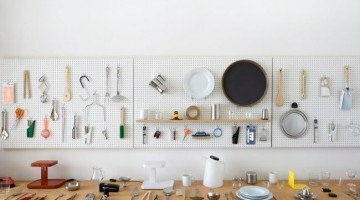 Whether you do shop here or don’t one thing you’ll most certainly like is the atmosphere and the minimalistic design that is always highly functional. Make sure to check out their website and see what’s on offer at any given moment, because the Do Shop offers some of the most interesting items on our list. Dalston Lane is packed with similar shops to this one, so we recommend that you check them all out, but our pick is the Farm Shop Dalston. 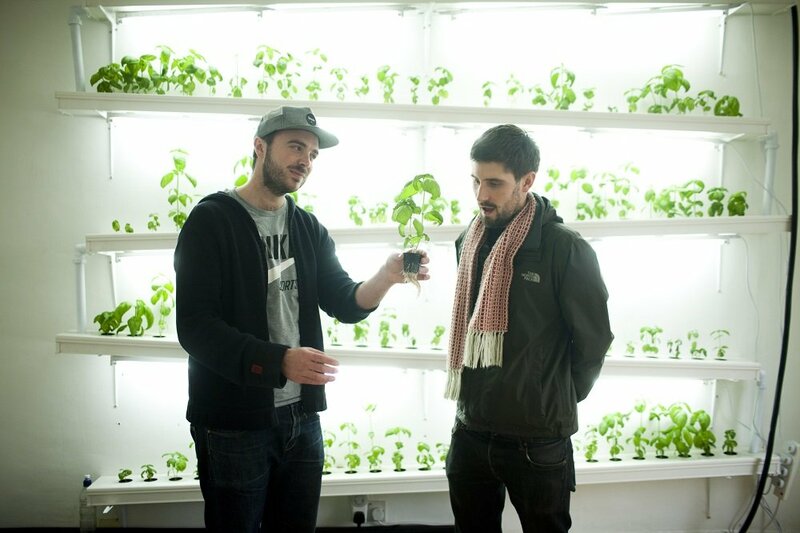 The shop itself has numerous rooms in which the items on sale are exhibited, and there’s one particularly neat room where people can buy fish tanks, food, and anything else they need for their swimming pets. Compared to some on the list, this one might be small, but it’s definitely worth the visit. 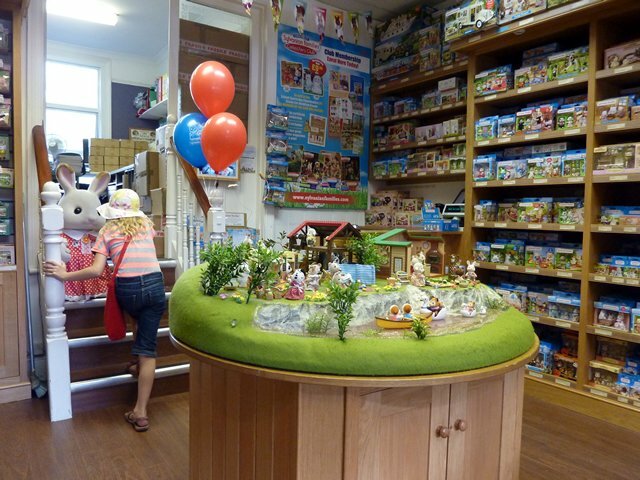 Arguably one of the most unique shops that can be found in Highbury is the Sylvanian Families Shop. We recommend that you do your Halloween shopping right here, because it’s during that time of year when this shop really shines. Whether it’s horror books, or masks, the Sylvanian has got it. The shop was established in 1991, and today it’s one of London’s more famous shops. The store was opened by Simon and Angela Harwood, and we congratulate them on more than 20 years of doing successful business. 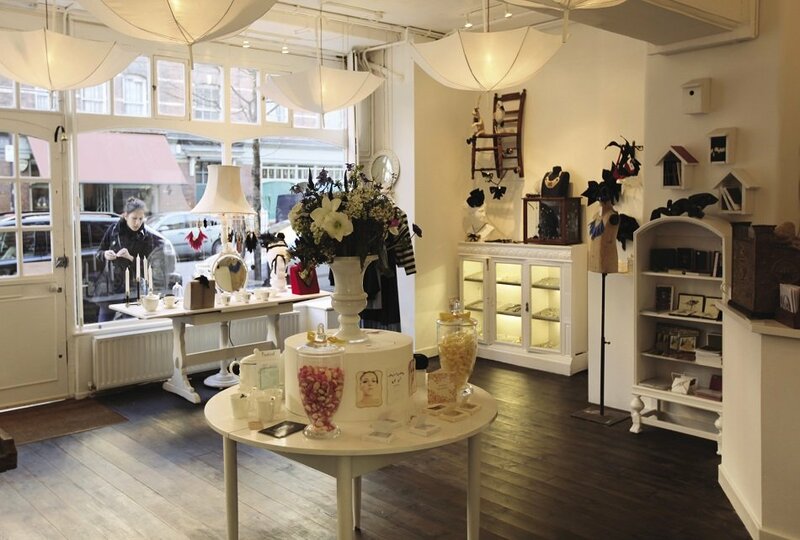 On Upper Street one can find all sorts of retailers and shops, but this particular store made it into our list for a reason. Some of the items they sell include rucksacks, tech gadgets, decorations, and even furniture. 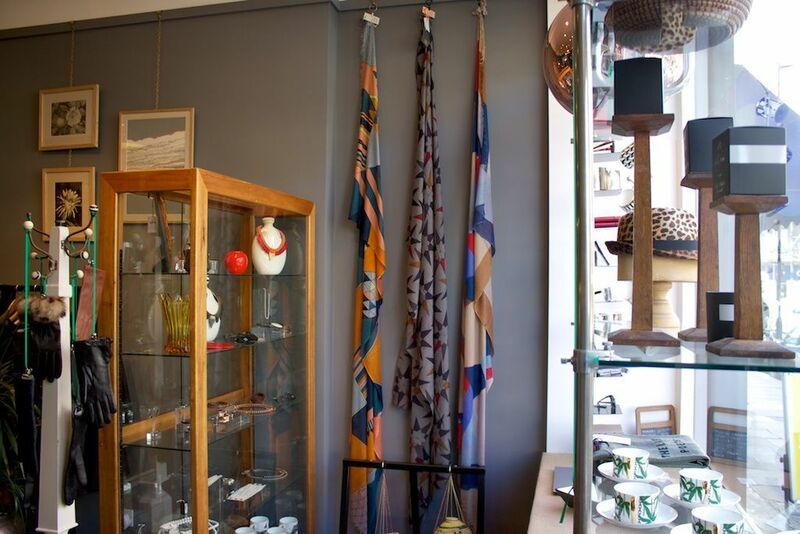 The Twentytwentyone shop was founded by Simon Alderson and Tony Cunningham, and so far it seems as though they have succeeded in creating a unique shop that sells vintage items along with merchandise that is much more contemporary. Last but not least is the D.R. Harris store on St. James street. 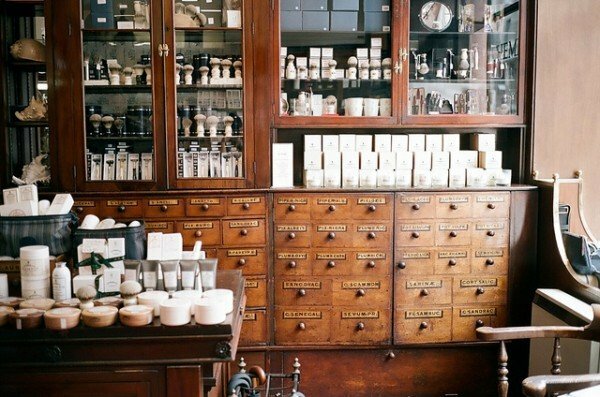 The interior dates back to a long forgotten period, and it definitely gives this London shop an unforgettable vibe. 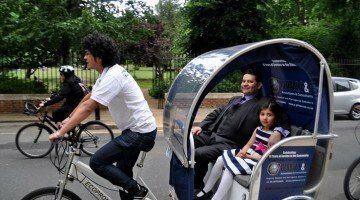 Over the decades and centuries it has changed very little since it first opened its doors almost 200 years ago. Originally it was an aphotechary, and today they mostly sell facial creams, perfumes, and other similar items.